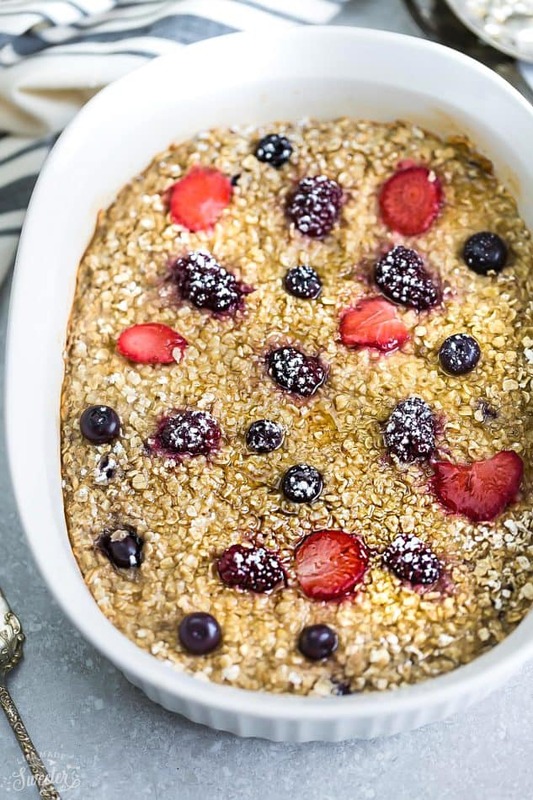 Berry Baked Oatmeal makes the perfect easy, hearty and healthy make-ahead breakfast! Best of all, this wholesome recipe comes together in just one bowl. Gluten free & refined sugar free. Plus a step-by-step video. When it comes to breakfast, oatmeal will forever be my absolute favorite way to start the day. During the summer, it’s overnight oats and in the winter, I’ll switch things up with a hearty bowl of steel cut or this Apple Pie Oatmeal. My kiddos on the other hand? They think baked oatmeal is the best and and would even have it for lunch or dinner if they could. 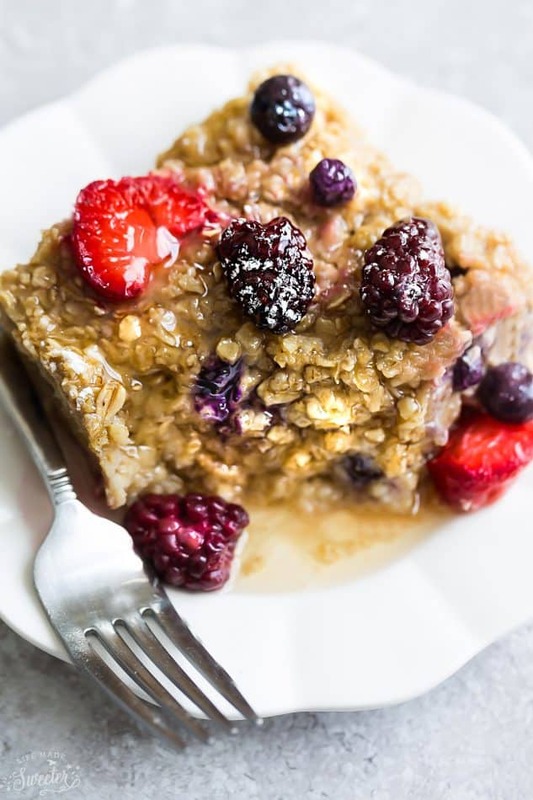 I am totally on board though since that means I can have more of this Blueberry Lemon Coconut Baked Oatmeal, Pumpkin Baked Oatmeal or this Cinnamon Apple Baked Oatmeal. 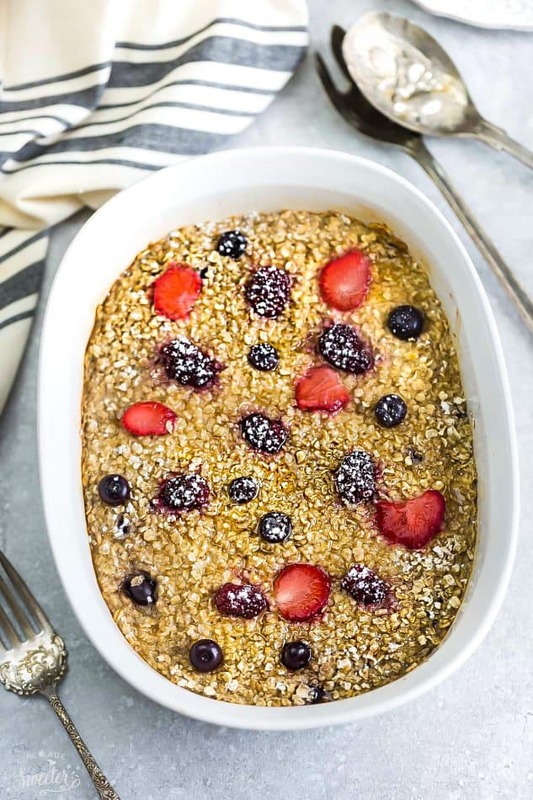 And with all the fresh berries that have started to show up again, this Berry Baked Oatmeal has been happening a lot lately. What’s great about this recipe if is you can totally use any combo of mixed berries you like. Even frozen berries would work just fine. I used blueberries, blackberries and strawberries. Raspberries would make a delicious addition if you have them on hand. and some eggs to bind it all together. And it’s also gluten free (just be sure to check the label on your oats), dairy free and refined sugar free. You can make it in the morning or even on your Sunday night meal prep day. Just store it in a resealable container in the fridge and you are set up with a few hearty and healthy breakfasts that you can serve during the week. 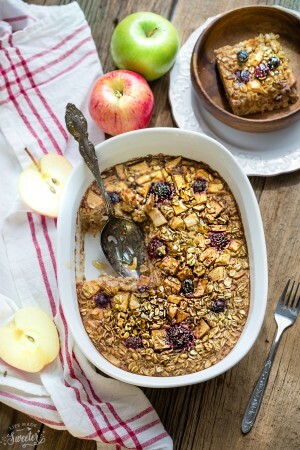 This Apple Maple Baked Oatmeal with berries is the perfect no fuss make ahead breakfast. Quick, easy, healthy & full of warm and cozy fall flavors. Preheat oven to 350 F and lightly grease the inside of a 2 quart (10 cup) casserole dish or baking pan. Set aside. In a large bowl, whisk the eggs and milk until combined. Stir in applesauce, maple syrup, vanilla, cinnamon and flax seeds. 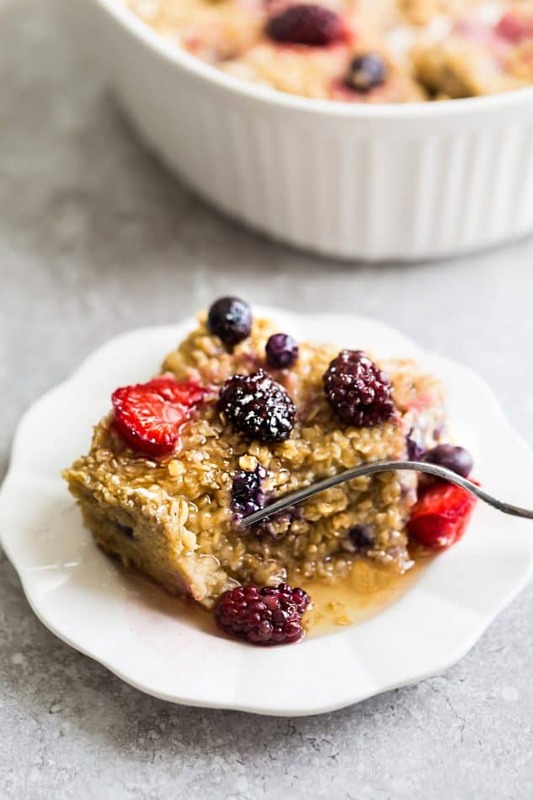 Gently fold in oats and then 1 1/4 cup of berries. Spread batter evenly and top with remaining berries. Bake in preheated oven for 35-40 minutes, or until the oatmeal is set and the center is no longer jiggly or a toothpick comes out clean. 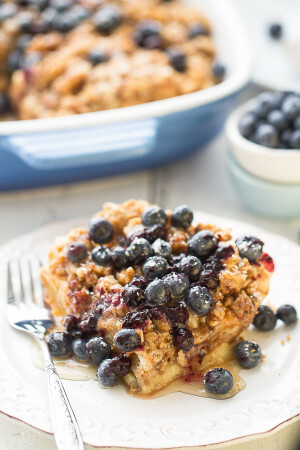 Remove from the oven and serve with extra berries, maple syrup and any other desired toppings. Oatmeal will keep in the refrigerator in a covered container, for up to 3 days.